This wiki will aspire to contain information on all different kinds of playing cards. It is currently in development, and new pages will be added frequently. 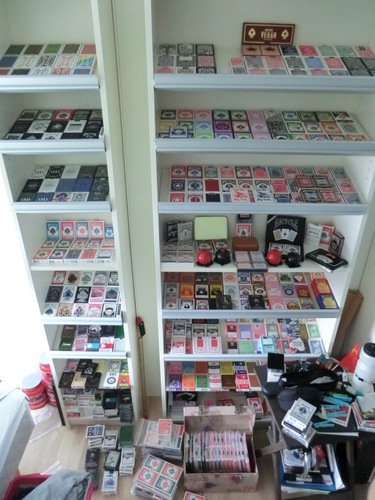 ^ My collection as of May 2011. Will make a video soon. You can follow me on twitter if you want fast updates on new pages and changes @MagikFingerz.